Join the discussion on our forums! 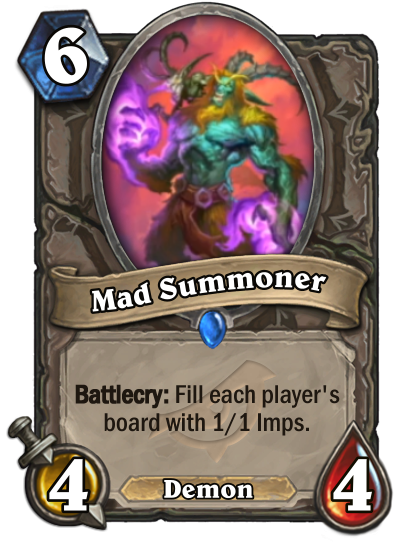 Come discuss Mad Summoner over in our dedicated Mad Summoner discussion topic. First thing I am doing! 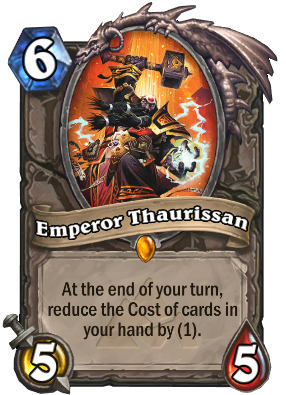 Big Priests have had it too good for too long. 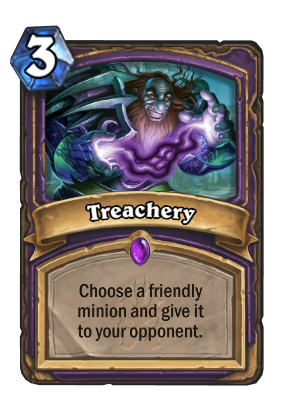 Actually pretty good to disable enemy from playing minions. In regards to Eternal Servitude, even if 7 imps died on their side, one gets registered into the rez name list. A good counter to Resurrect and Bloodreaver Gul'dan. Imps are demons right? 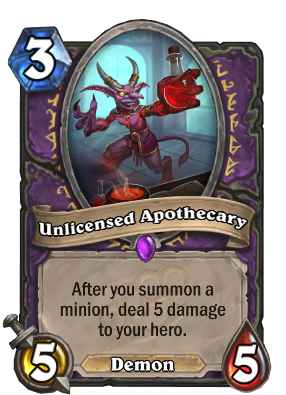 there is still hope for the new weird demonlock. Gonk, the Raptor now finally can be enabled.